My wife and I are possibly heading to Scotland in March 2018, and will have approximately 18 days to tour around the country. We are looking for very scenic spots for the purpose of photography primarily. Castles, landscapes, fantasy type locations. Not really interested in cities at all, although we may do a day or two in Edinburgh. Would of course like to get up to the Isle of Skye, but other than that we are totally open to ideas. This will be our first trip to Scotland, after having done Ireland a couple of years ago (and loved it). We will be renting a car to get around, and most likely be staying in a mix of B&B's and mid level hotels. Any advice, suggestions or ideas you can give would be most appreciated. Hi @RFLundgren! I'm sure your wife will love a trip to Scotland! 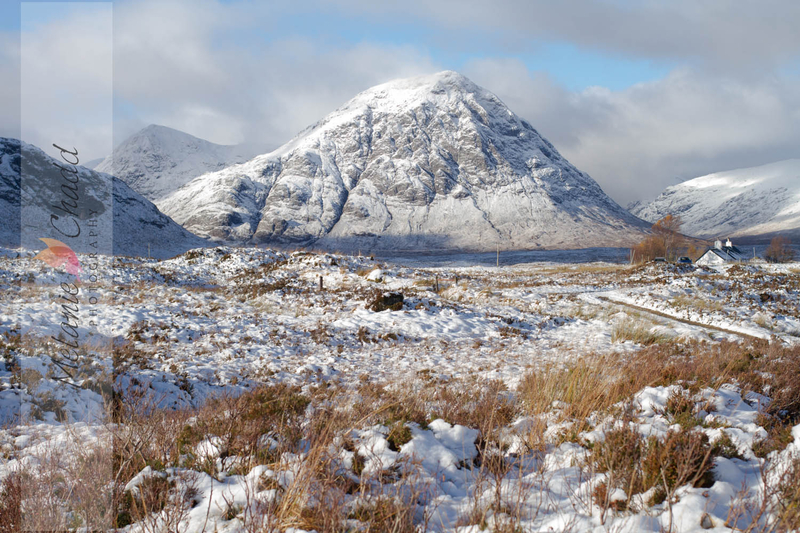 Some of the most popular landscapes for photos are up in the Highlands of Scotland. I would recommend: Glencoe, Dunnottar Castle, Kilchurn Castle, Eilean Donnar Castle, Urquhart Castle, Fort William, Loch Lomond, Loch Ness, Ben Nevis - and that's just off the top of my head! I'm sure more people will have further suggestions for you as well! Hope this helped and you have a brilliant trip, post some of the pics you take on here for us all to see as well! I am biased but I'd recommend Aberdeenshire. Very underrated and offers some amazing locations. You have both sea and mountains. You can head north and we have Forvie sands. An incredible nature reserve where you have sands dunes on the sea, and a massive colony of seals. 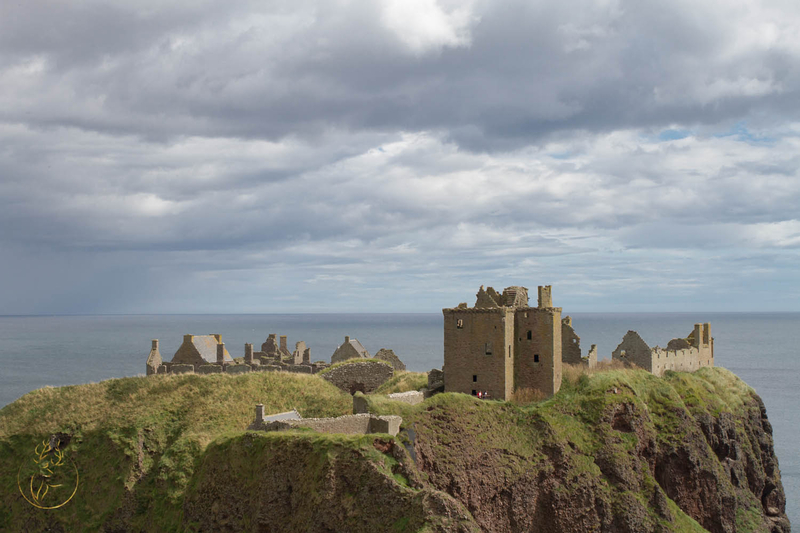 If you head north you reach Cruden bay and the ruins of Slains Castle. We have a great variety of castles, although coming in March, most of them will still be closed. But the grounds are always open and you can still enjoy them from the outside. Then you can head to the mountains and explore the beauty of Deeside and the Cairngorm. Ballater and Braemar are two lovely villages. Definitely plenty of amazing photo locations. Very close to Ballater there's a beautiful nature reserve called Muir of Dinnet. One of my favourite places in the area. And if you like hiking Loch Muick is an incredible walk to do. And amazing for photos!! Thanks Liam and Nadia for your thoughts and suggestions. So much research to do before we travel, and what makes it more difficult is that she does not know where I am taking her, and will only find out when we get to the airport! This is a 50th Birthday trip so have to have some element of surprise, although I may have to give in a few weeks before so she can also do some planning. 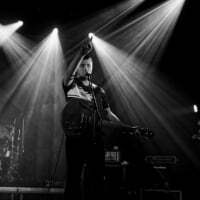 From a photographers point of view @RFLundgren, Scotland is one huge playground. Everywhere is stunning! I agree with @Scathach, Aberdeenshire is so pretty and is home to the Castle Trail. Lots of romantic/magical castles to visit. 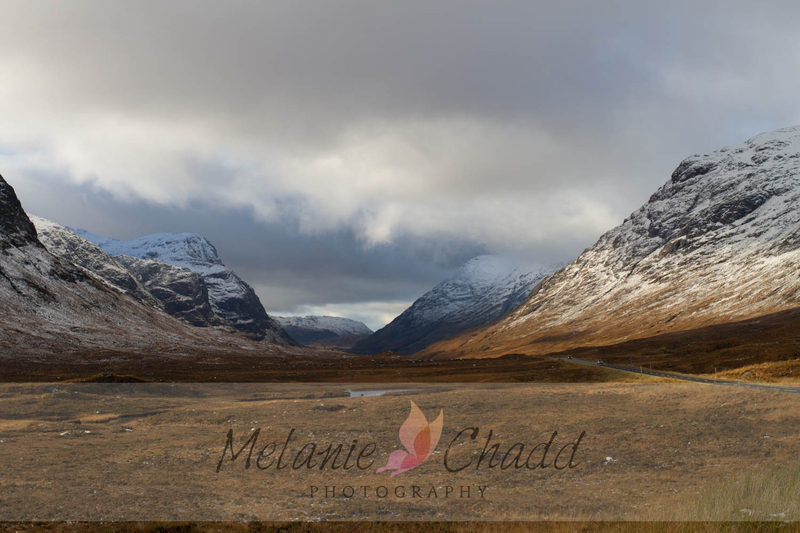 For me, Glen Coe is truly magical and a photographers dream. Perthshire also has so much to offer - Blair Castle, Killin waterfalls, Queens View, Pitlochry Dam and visitor centre, The Hermitage at Dunkeld, Stanley Mills (an old mill house on the river Tay), Kinnoull Hill, Loch Tay and it's surrounding area. I recently discovered Sutherland on the north west coast (part of the North Coast 500) and it is stunning. The area of Assynt is particularly beautiful and mountainous. Driving conditions further up north may not be great on some of the smaller, single track roads due to snow and ice. Some attractions may not be open before Easter. Although some still allow access to the grounds for walks and photos etc. Same applies to some of the smaller cafes etc the further north you go. Don't let this put you off though. Before moving to Scotland I had only ever visited in March and it is perfect, you just need a bit more planning. @FullStopNextChapter this time is me agreeing with you. Sutherland is spectacular. I fell in love with Assynt. I camped a couple of years back at Clachtoll and explored the area. Breathtaking views. Definitely at the top as one of the most amazing corners of Scotland. FullStopNextChapter many thanks for your ideas, especially from a photographers perspective. My wifes specialty is composite and fantasy, so the exterior of castles and landscapes will be perfect for her. She uses these as backgrounds in her manipulations, so the main purpose of the trip is to bulk up her stock image library to give her many more selections to chose from. What you have suggested sounds perfect, so I guess time now for me to do some serious planning in regards to route we will drive and accommodation options. Hi again all. Well I finally have an itinerary. A little manic for the first few days, but then we slow down for a more leisurely drive. We first spend 5 days in Switzerland and then fly to Edinburgh. Pick up the hire car and head North East through Perth, Aberdeen, Frazerburgh, Dufftown then Inverness, Wick, Durness, Ullapool, Shieldaig, (essentially the NC500) then across to Skye for 4 nights in Portree as a base to explore, back through Invernarnan to Edinburgh, then flight back to Zurich, then home via SIngapore. Apart from the first 4 days (overnight stays) until we get to Inverness, all of the other stays will be 2 nights. Trying to get as much in as possible without overdoing it (which we have always seemed to do in the past). Slowing down and making most stays 2 or more nights will be much more relaxing. The places above are not necessarily where we will stay, but looking to stay around those locations. Exceptions being Wick (have booked a stay in Ackergill Tower) and Portree where we have a B&B. I guess now that we have a more planned route, if you can go ahead and suggest any "must see / do" in those areas it would be great. I do understand that at this time of the year, many places may be closed, however for photography Mrs L is more interested in outside shots in any case. Definitely looking forward to the trip, and not too long to go now. Once again, thanks to everyone for your valuable suggestions. Perth is a pretty place to stop (maybe even just for lunch. The river Tay runs through it. Here you can also find the Blackwatch Museum, well worth a visit. Scone Palace is also on the outskirts of the city. As you drive from Perth to Aberdeen you will drive through Dundee and see the brand new (not yet open) V&A museum and the RSS Discovery. Enroute to Aberdeen, stop off at Dunottar Castle, it's magnificent. Aberdeen is a great city. Wrap up warm and take a stroll on the beach. The Maritime Museum is just a short walk off the main street and is really interesting, as is the Tolbooth. As you drive from Aberdeen to Fraserburgh, it's worth stopping at Peterhead Prison Museum. A prison built in 1888 and closed in 2013. Now open to visitors and has an amazing history. All along that bit of coast are pretty villages. Portsoy is home to the filming location for the most recent production of Whisky Galore. Close to Inverness is Culloden moor which is a very moving place. And just down the road is Clava Cairns. Inverness is a very compact city. There a some easy walking routes around the city, alongside the river and canal. The castle is now home to Sherriff court and council offices, but you can still get a great view over the river, cathedral and city. The drive from Inverness is beautiful. Just outside the village of Golspie you can stop at Dunrobin Castle which looks like a French Chateau. From Wick, you are not far from Dunnet Head - this is the most northerly point of mainland UK. You will probably already have John O' Groats on your list. 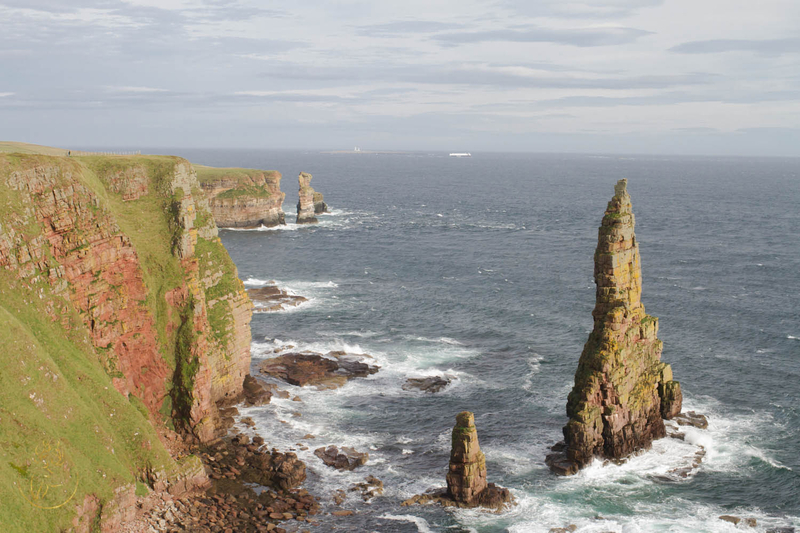 Duncansby stacks are well worth the short walk to see too. On a clear day you will be able to see Orkney from here too. Ullapool has some really lovely independent little shops that will have some great keepsakes of your trip. The fish suppers are fab here too. There are plenty of walks too. Sheildaig - I only briefly passed through here whilst doing the NC500 myself last October. Sweet little place. I would highly recommend eating at Nanny's cafe. Tasty, fresh food at reasonable prices. Whilst in Skye, one of my favourite restaurants is Red Skye at Breakish. Portree is a hive of activity in the summer and although it will be quieter in March you will still have a great time. Again there are plenty of walks from here. I have a list of all places recommended by people which I will pass on to her when I let her know where we are going, and then she can do her research and make some choices from there.